Q: What are Overdrafts and Overdraft Fees? • Transfer Service allows you to transfer from one of your other Colony Bank deposit accounts to your primary checking account. In the event of an overdraft, an automatic transfer will be generated to cover the amount needed to bring the account to a positive balance. The charge for this service is $10 per transfer. • Freedom Line of Credit is a line-of-credit attached to your checking account. In the event of an overdraft, funds are transferred from the available credit balance to cover the deficit balance in the account. Interest accrues based on the outstanding balance of the line-of-credit. A loan application and credit approval is required for this service. If you do not authorize us to pay an overdraft for everyday debit card and ATM transactions, your transaction will be declined at the time it is presented if the transaction exceeds your available balance. Q: What are my choices? • Recognize that your account is not covered by the prior options and overdraft items are subject to be returned unpaid and will incur a return item fee. Q: What fees will I be charged if Colony Bank pays my overdraft? 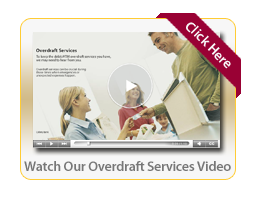 • We will charge you an overdraft fee each time we pay an overdraft. • There is a limit of six (6) overdraft fees per business day that we can charge you for overdrawing your account. Q: What if I want Colony Bank to authorize and pay overdrafts on my ATM and everyday debit card transactions? Overdraft Protection Form, call us, or stop in to see us. Q: What happens if I do nothing?